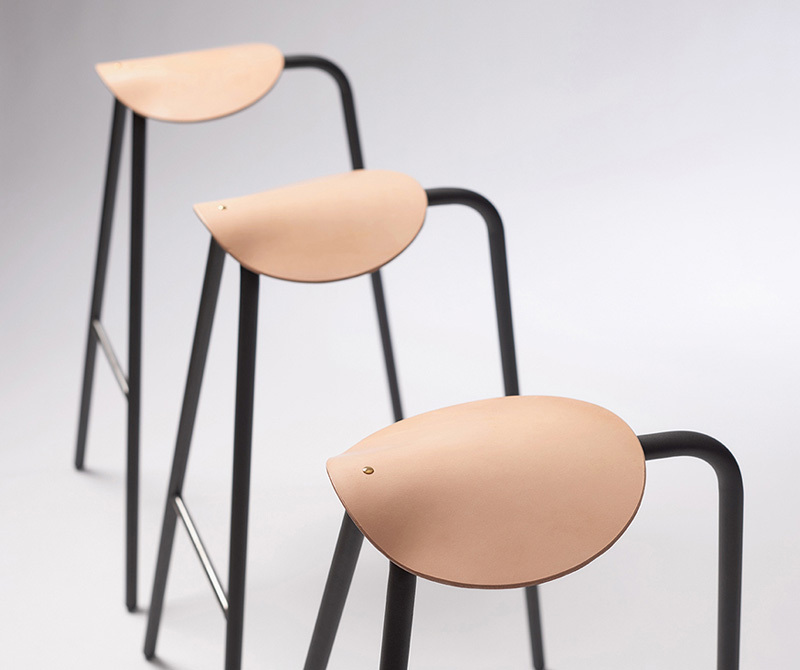 Home Design Leather: Explore, Experiment and Create. 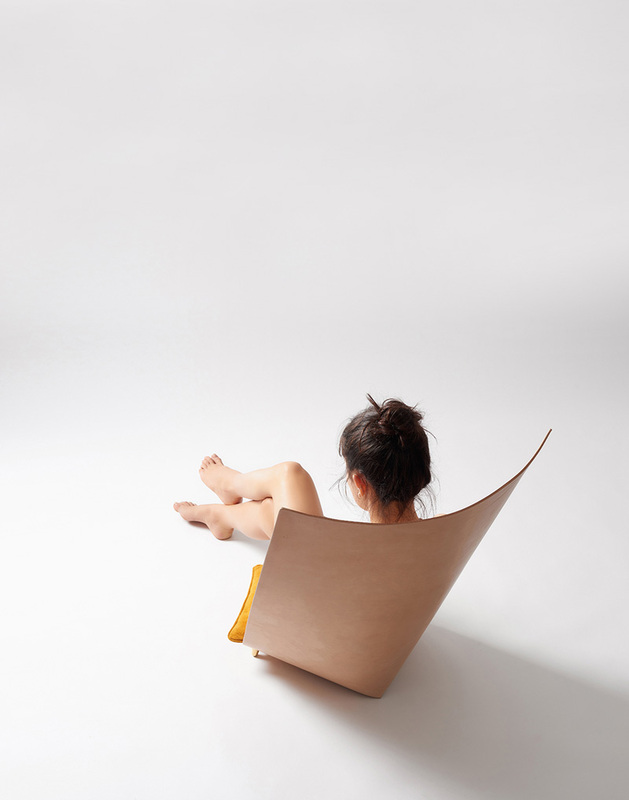 Unique ways to use leather by TORU. 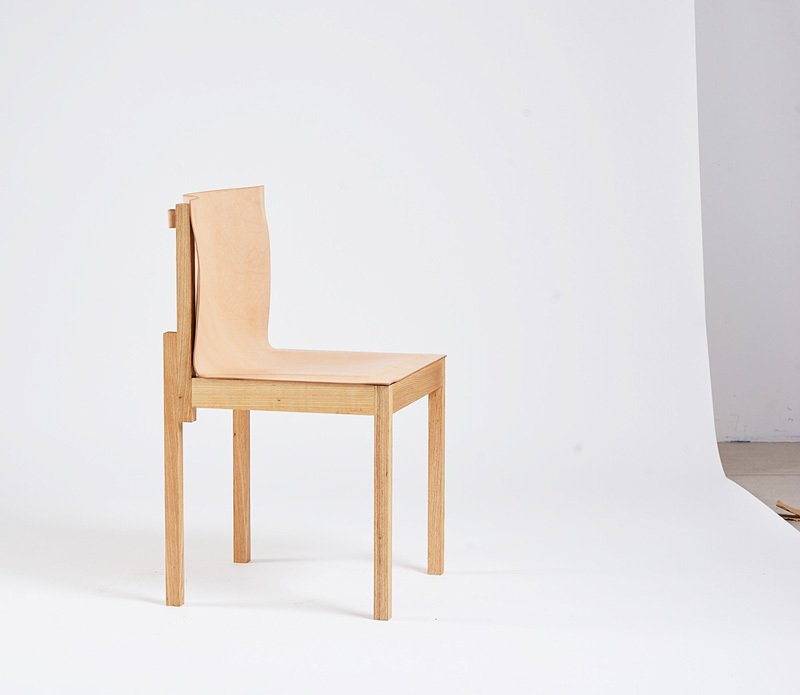 TORU is a a young craft and design company that produces beautiful, simply designed furniture with exquisite materials. 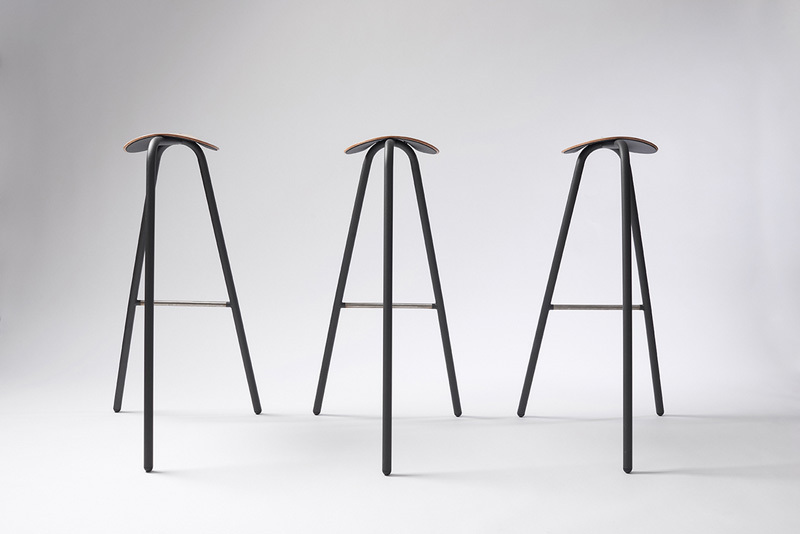 A specific material that makes them stand out is their use of leather to create amazing furniture in non-traditional ways. Each piece is handmade by local craftsman using the highest quality of leather that’s tanned with chestnut, mimosa, and quebracho extracts, which helps keep the original raw look and color of the material. 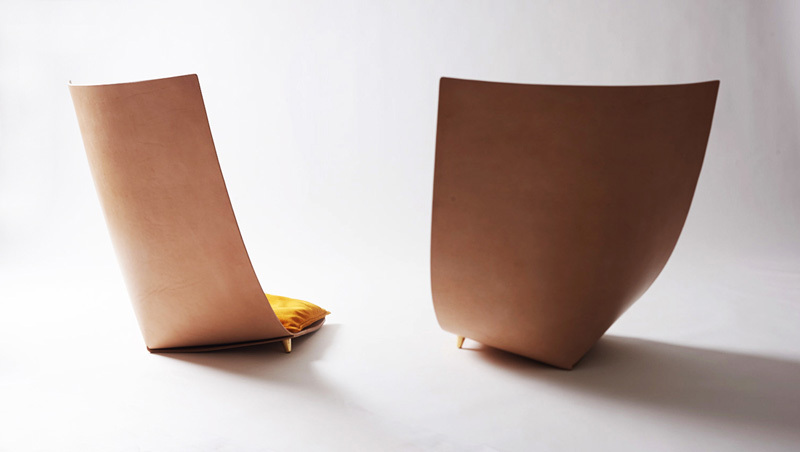 Babu, considered a place to rest and meditate, was heavily inspired by travel. It’s said to come from the journeys experienced by desert tribes, which is when men felt closer to the earth, making the Babu chair the perfect place for relaxation. 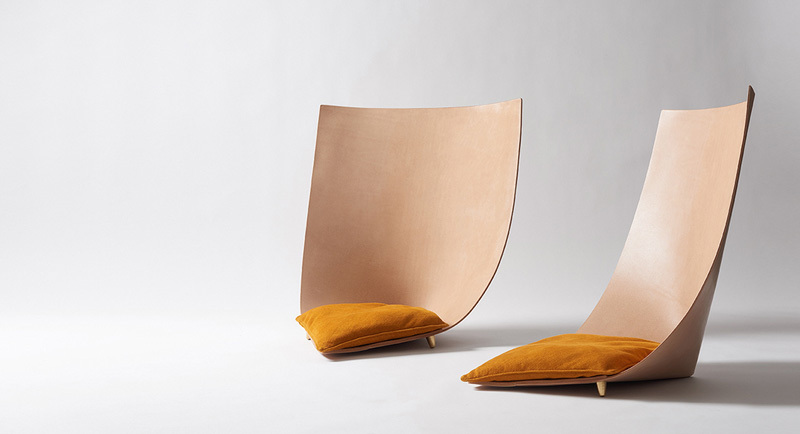 It’s made with sheets of leather and brass, making it easy to move. 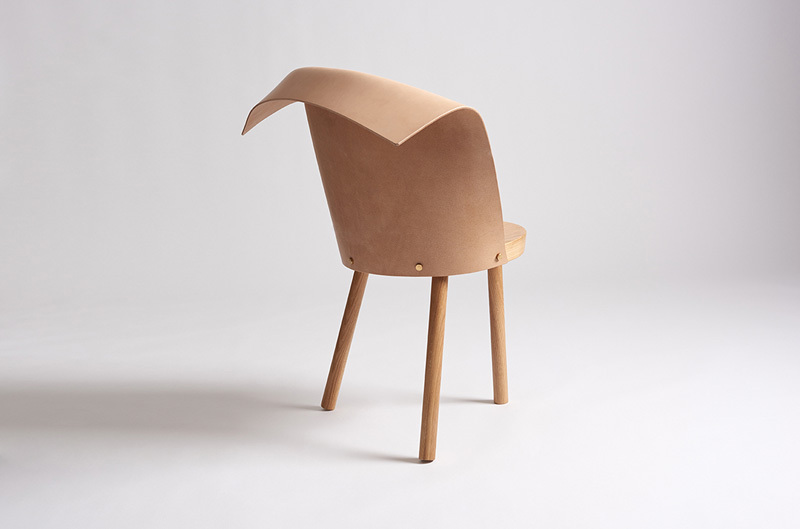 It takes shape from a single 6mm-thick leather piece, which folds back on itself to create the backrest. 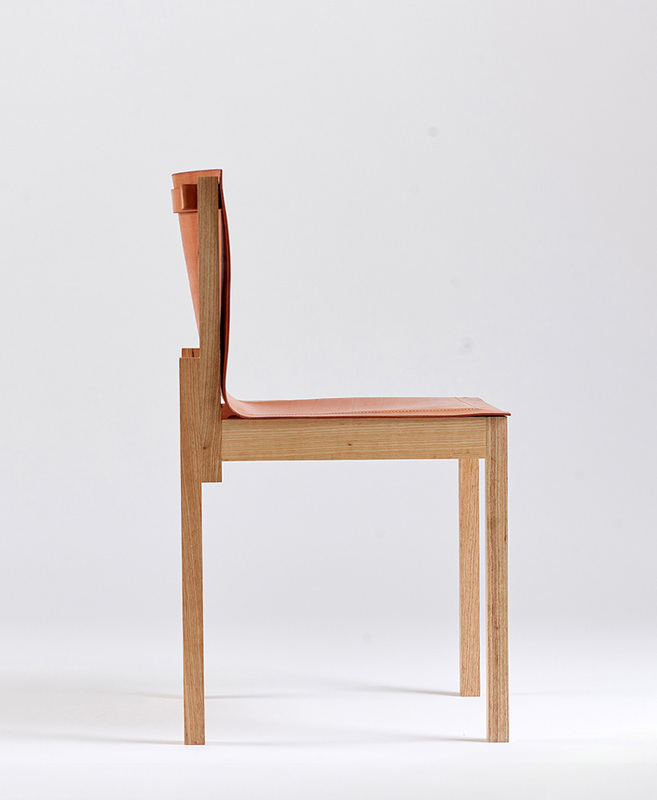 Inspired by the minimalist design of a clomp shoe, this chair remains outstanding with an interesting, yet beautiful design. 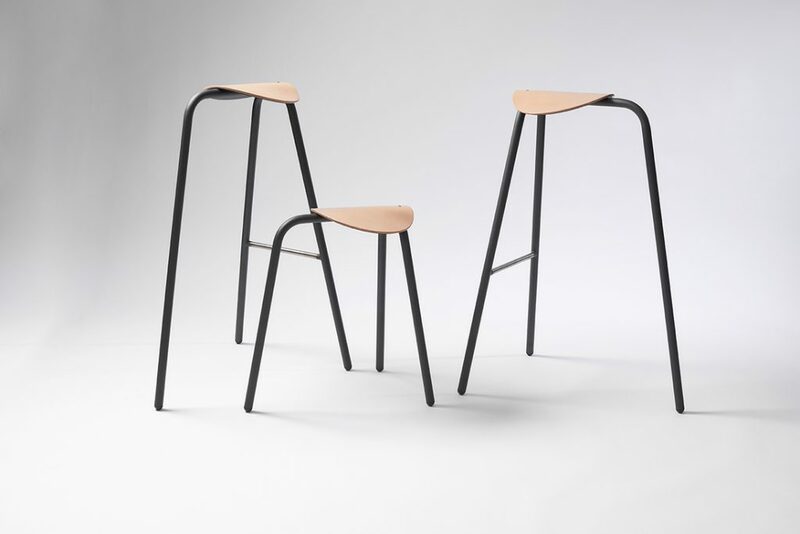 It contains an unusual fold on top of the back and three legs, created by the combination of a 5mm thick vegetable tanned leather back and a solid oak structure put together with brass fittings. 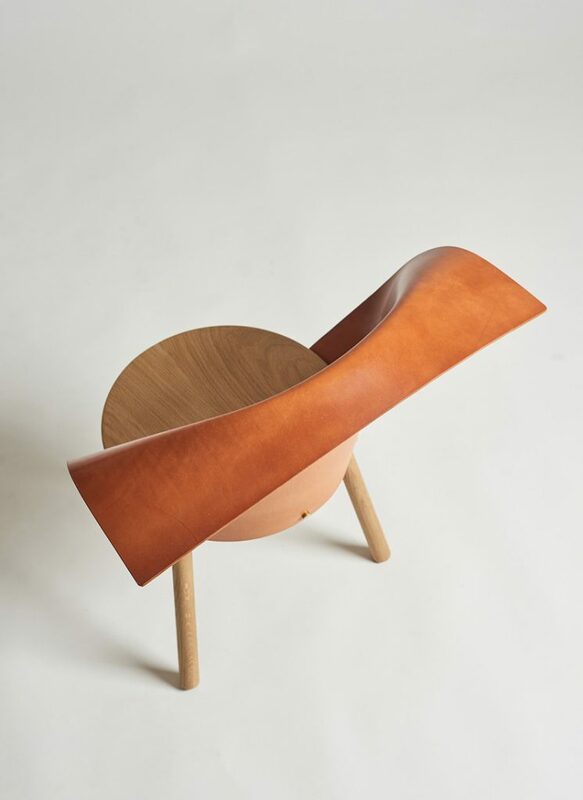 The Clop lounge chair represents the end of a journey that goes from the simplicity of a clog shoe to a chair, by making it half wood and half leather. 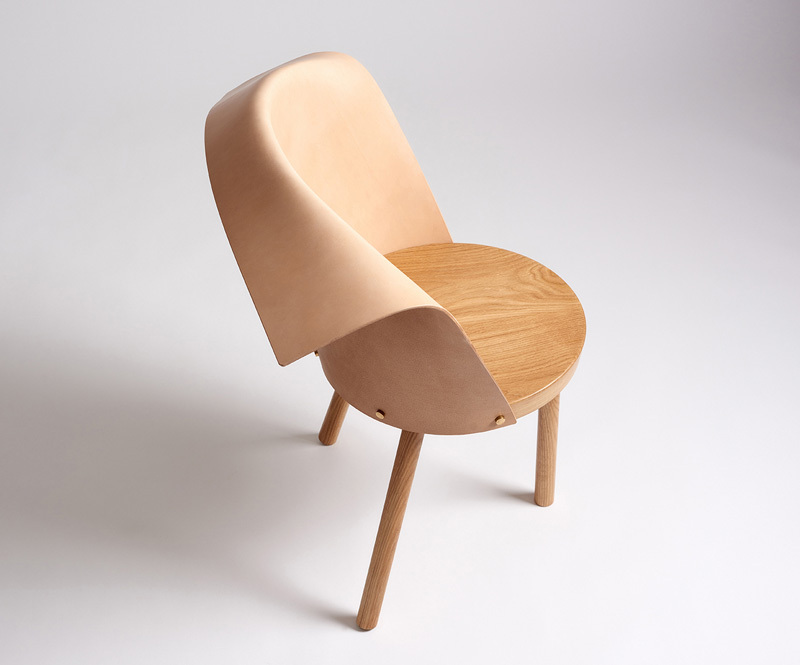 This chair is created following a primitive way of making natural, hard, but authentic objects. 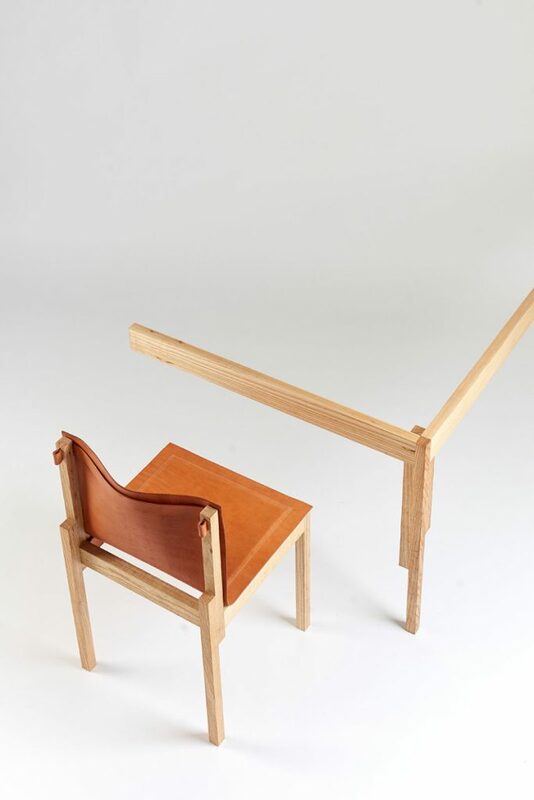 The Refix collection‘s main purpose is to reuse material and reunite two elements, which are wood and leather. It’s been created by the old dismantled tanning drums, made of high-quality wood that has been worked under extreme conditions of strength and humidity. 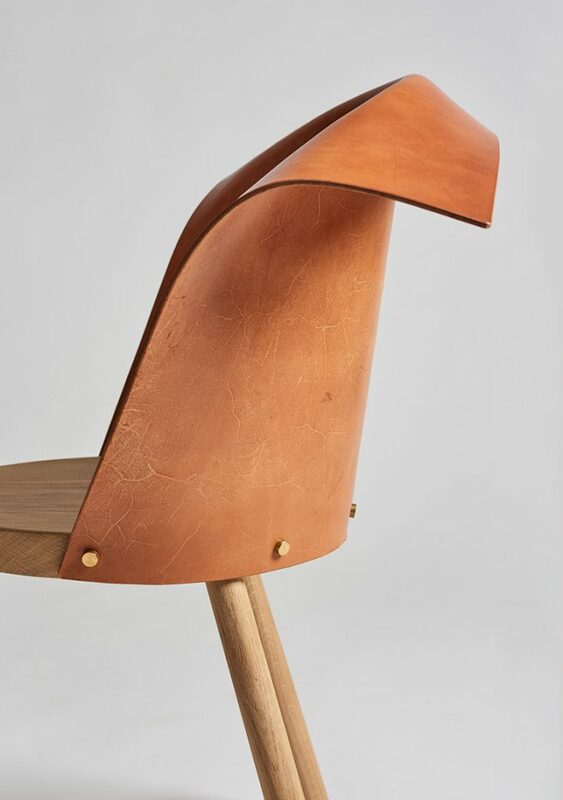 The simple and contemporary designed chair combines vegetable tanned leather and a solid ash wood to achieve a rustic, yet clean look. 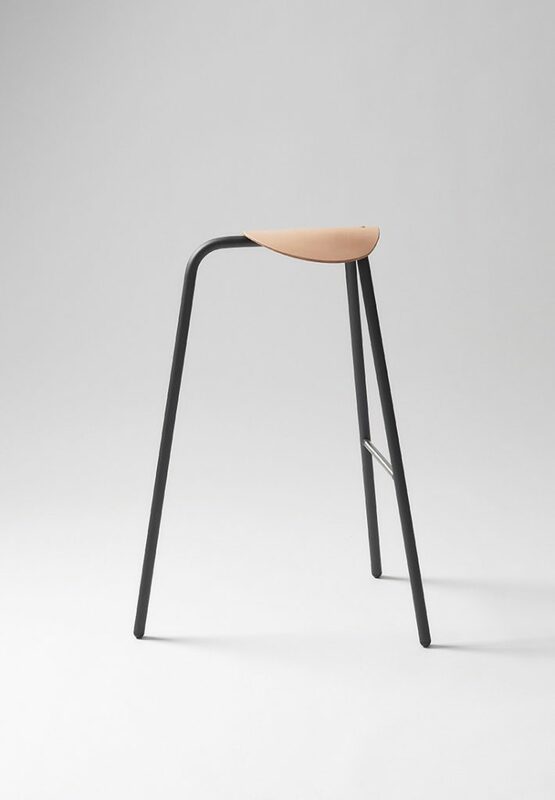 It’s made from a sleek steel base and 6mm thick leather seat, giving it a minimalist shape of a small mounted horse saddle.